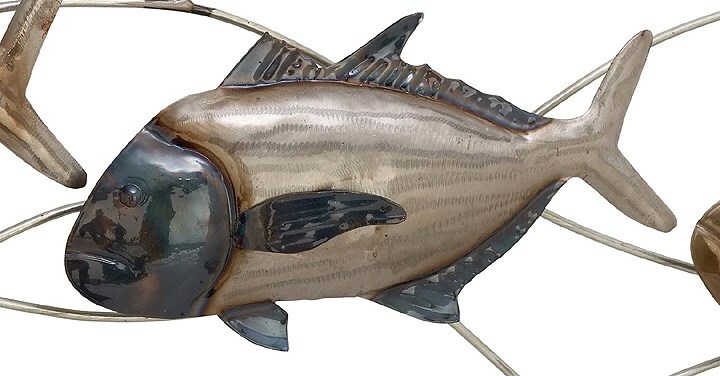 Fish Wall Decor - 24" x 45"
Industrial arts metal fish wall decor, thirteen tuna-shaped iron fish in silver, blue and light brown with torched finish, curved horizontal iron bars as waves. This piece is oversized and will incur additional freight charges. 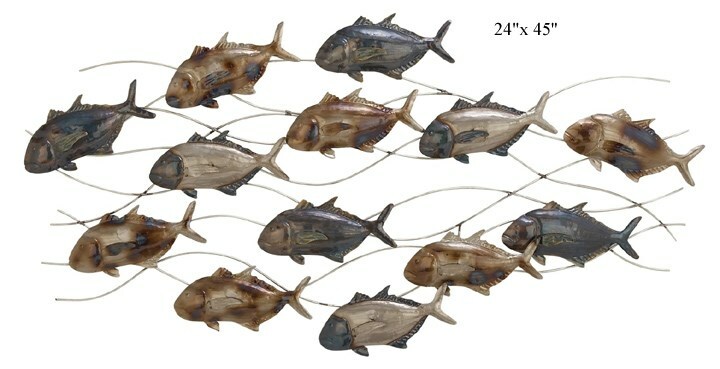 Fish Wall Art - 19" x 39"